Thank you for taking the time to read our Terms and Conditions and joining L-W-O. Working online is challenging and often we have no control over much of what is said in social media posts. Our aim is to offer a safe online lymphoedema support group this also includes our other social media platforms. Therefore, we need to be careful of the answers we give. We ask our members, supporters and followers to refrain from posting until you have time to think through your answers before posting. Our focus is advocacy, education, friendship, learning from one another, and positivity. As our community has evolved L-W-O is very fortunate to be invited to events in our local community and therefore these terms and conditions will also apply. L-W-O is an Independent not for profit organisation, accessible to any person who has Primary or Secondary lymphoedema or their carers, family or friends. 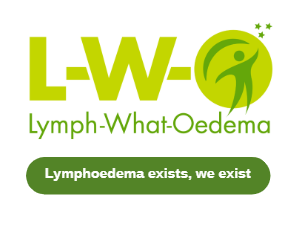 The L-W-O website is written by Gaynor Leech who lives with secondary lymphoedema and is written entirely from a patient's point of view and is not intended to be a substitute for independent medical advice. The information on this website and our social media platforms is intended for use by UK residents. Our overseas visitors are welcome; however, we strongly advise all our visitors consult their own health-care professionals. By reading this page, being a member of L-W-O Support and Children's groups or followers of our other social media platforms, you are acknowledging our Medical Disclaimer at the bottom of this page. Material on this website and our social media platforms is used for information only and is not intended to be a substitute for independent advice. L-W-O accepts no liability in relation to typographical error. We accept no liability for third party information. The L-W-O website and social media platforms contain links to other websites. These are provided as useful sources of information and inclusion of such links to other websites does not imply, endorsement by L-W-O, of any kind as to their content or quality. For further details please read our website linking policy. We will not tolerate any form of verbal abuse, foul language, or harassment across our social media platforms and any member who doesn't adhere to this policy will be removed or blocked. For further information please check our safeguarding policy. On social media writing in capital letters is deemed to be shouting and therefore is considered aggressive and will not be tolerated in our group. For the safety of our members, do not re-post content from within the closed group and post elsewhere. This includes screenshots. Material from our Community Page which is our public page can be shared as long as L-W-O received the credit. Gaynor Leech, Founder, our Nurse Adviser, Admin and Moderators are classed as Volunteers and are insured as Volunteers. Members are not insured. L-W-O respectfully asks members not to make a medical diagnosis or give an opinion that can be misconstrued as a medical diagnosis. The L-W-O Support Group is a closed group, members posts and conversations are private within the group, therefore at no time should these be shared outside the group. At no time should screenshots be taken of private conversations.